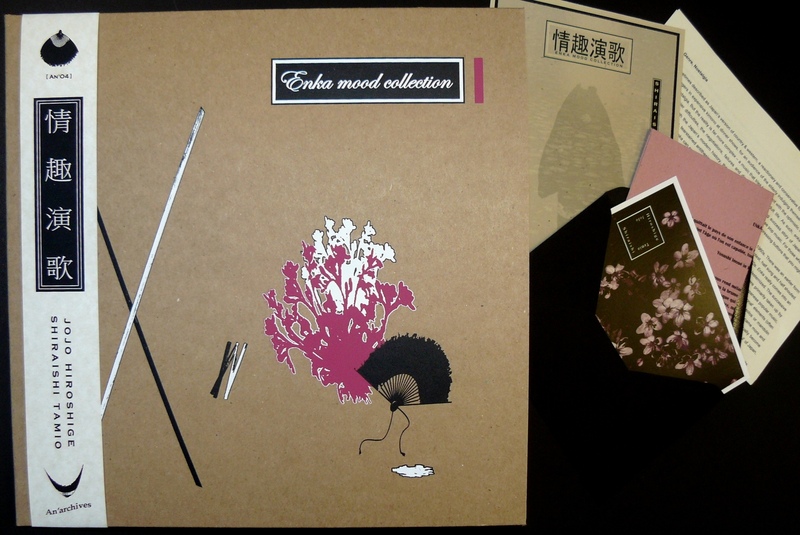 10 inch LP, comes in a silkscreened gatefold jacket with obi, inserts, postcard. 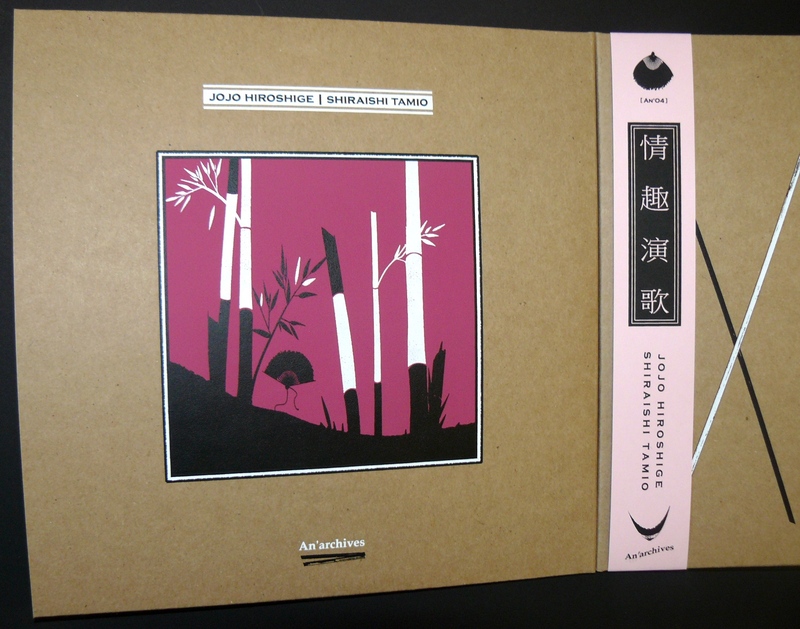 Side A of this split LP features self-proclained “King of Noise”, Jojo Hiroshige, founder member of the legendary Hijokaidan and stalwart of the Japanese noise scene. Both sides appropriate the Enka repetoire in remarkablky different ways. Jojo Hiroshige’s howled declamations and metallic scoria guitars chisel these old Enka ballads into something more monstrous while Malenkov’s flamenco arpeggios bandage torn lace around Shiriashi’s voice. Shiraishi recorded these songs in Uramado, a small kabuki-cho bar haunted by the ghosts of the Tokyo underground. Wandering through the streets of this floating world, one gets re-acquainted with those long lost voices of Enka. 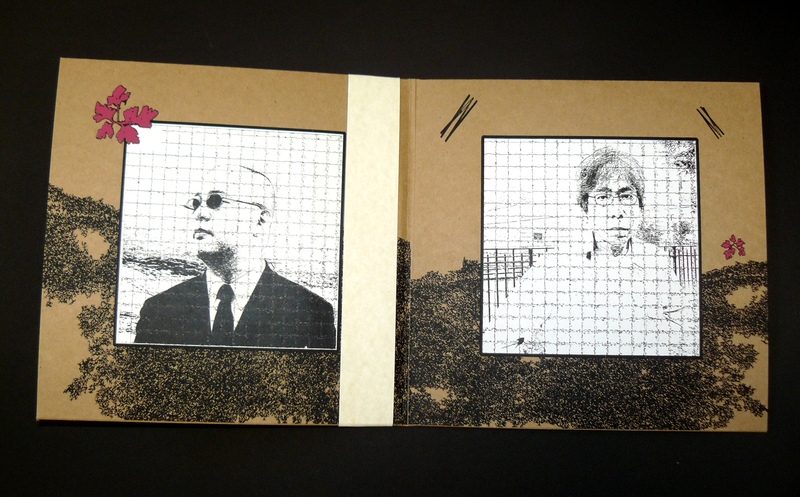 This document is only a superficial incision into the exquisite corpse of the Japanese underground, a body of work where traditional and modern musical lines converge and take their rest, having now been cast into oblivion by the relentless changing trends. Enka music is deeply anchored in Japanese society and still remains influential today among those who frequent Karaoke bars where singing is the preferred language.